Keyboard doesn't appear on lock screen. Hello, I have a Samsung s8 and I installed the latest update last night via the 'Install Overnight' option. When I checked this morning the update was done and it was asking for my password, however when I went to input the password, the keyboard would not show up. I restarted it however nothing happend. The keyboard won't show up at all. The power off button also doesn't work as it requires the password and, as said the keyboard will not appear. I know the password, the keyboard just won't appear. Please help. @TFBisquit I can't make another post for some reason so edited to tell you that I rebooted like you mentioned but the keyboards still not appearing. Press and hold volume down + power button for at least 8 seconds. 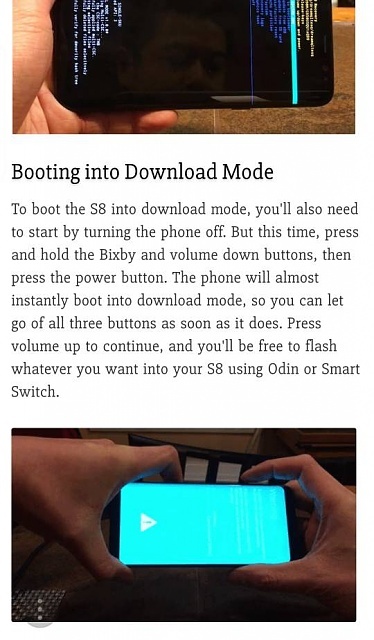 That will reboot your device and hopefully correct the keyboard not appearing. Hey, I rebooted like you mentioned but the keyboards still not appearing. He's got an S8, so no home key. I'm still trying to find the instructions for it. What will a cache wipe do? Will things be deleted? So I did the cache wipe partition but the problem persists. Factory reset is your next step. In the same menu as wipe cache. If that also fails you're looking at an Odin flash of either nougat or Oreo. As a last resort you could visit a Samsung service center, and let them reflash it. If that fails it would seem to be a hardware issue, where the keyboard sensor isn't working anymore. Then it needs to be repaired. PS. A bit late but next time better to do the upgrade manual, or at once when downloaded, with a fully charged battery and/or connected to your power charger. PS2. You can shut down the device from that same menu also. Then after some 15 minutes you can reboot it, and maybe that will do the trick? You could also try connecting a basic USB keyboard via a USB-C to USB-A cable. I've never tried this myself -- with phones that have a microUSB-A port, you'd need an OTG adapter (very inexpensive0, but I'm guessing OTG wouldn't be necessary with USB-C? A physical keyboard would at least get you past the screen lock. Then you could try installing another keyboard app, or get to the settings and try clearing the current keyboard app's cache/data. I tried turning the power off then rebooting and using safe mode, both didn't work. I guess USB keyboard is the next step, I'll see if I can find one near me. Could anyone here recommend a cheap micro USB keyboard so I can try this solution out? Is your S8 tied to a carrier? If so, try taking it to a carrier's storefront and see if they can loan you a keyboard for 15 minutes. Or, if you're in the US, bring it to a Best Buy, and ask the Samsung Experience rep if he or she can help. So it took a long time because of [reasons] but I finally have an otg cable and used it to connect an old USB keyboard we had to my mobile but it didn't work. Factory reset. Or repair by a Samsung service center which will also factory reset your phone. 8. Samsung keyboard now working and have restored all my stuff. I had exactly the same problem with my Samsung S7 and I was able to solve this and hopefully this can benefit you guys. Here is what I did. Since the phone keyboard was not popping up and the unit keeps rebooting what I did was to attach an external keyboard via micro usb slot. Once the screen asks for your password use the keyboard to immediately input your password. If you have logged in immediately go to settings and TURN OFF your security settings meaning turn off the fingerprint or password of your unit or the swipe method. As in put your phone to have no security whats so ever. If your phone becomes stable already meaning it doesn't do the endless rebooting and heating up. Go to the last application that you installed and delete it or uninstall it via settings. Next go to general management then go to reset look for reset settings and when your ready press reset settings. This will make your device go to the original factory default setting without wiping your data. That's it once the phone reboots it should be normal again. 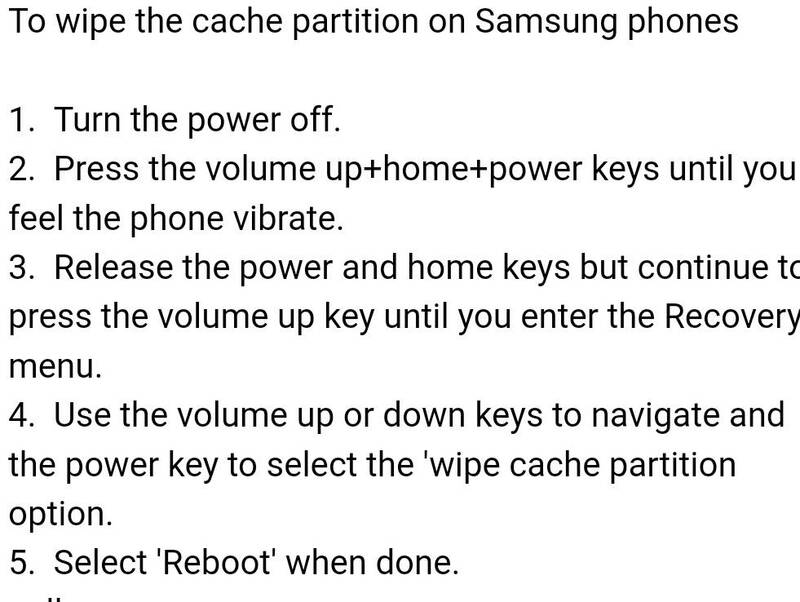 If this does not work then your last option is to go to factory reset. I was really happy that just resetting the phone to factory default setting was able to make my phone normal again. Actually it now runs faster. The best part is that my data was still intact! I hope this help guys good luck! I now have to tap on the screen where the numbers go, and the keypad will pop up from the bottom.